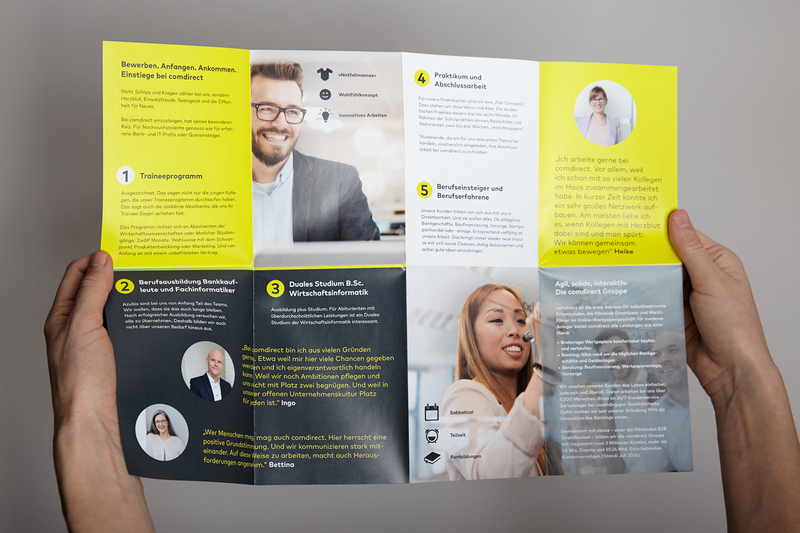 comdirect bank wanted to be remembered by its preferred candidates after the job interview – by means of a flyer. 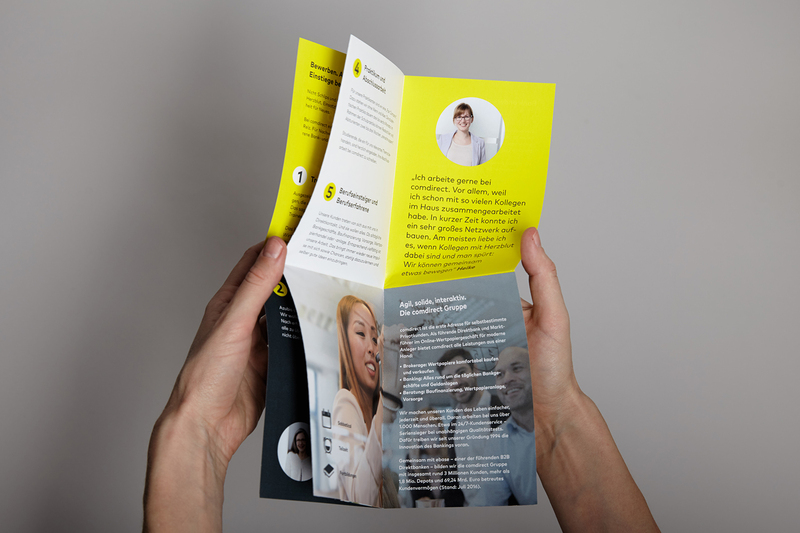 The specific communication goals were to stand out from the competition and to leave a positive impression on the applicants. 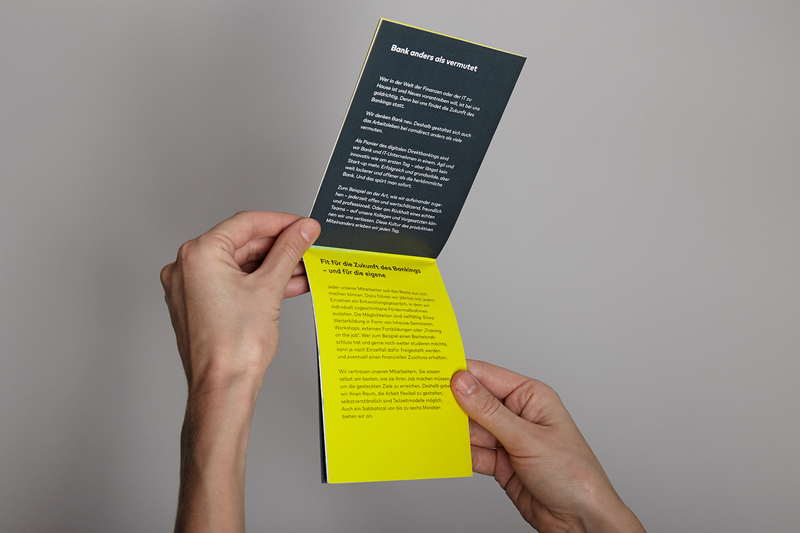 K16 first defined and accentuated the unique selling points of comdirect bank. Intense discussion with the company resulted in the key themes “personality” and “emotionality”. 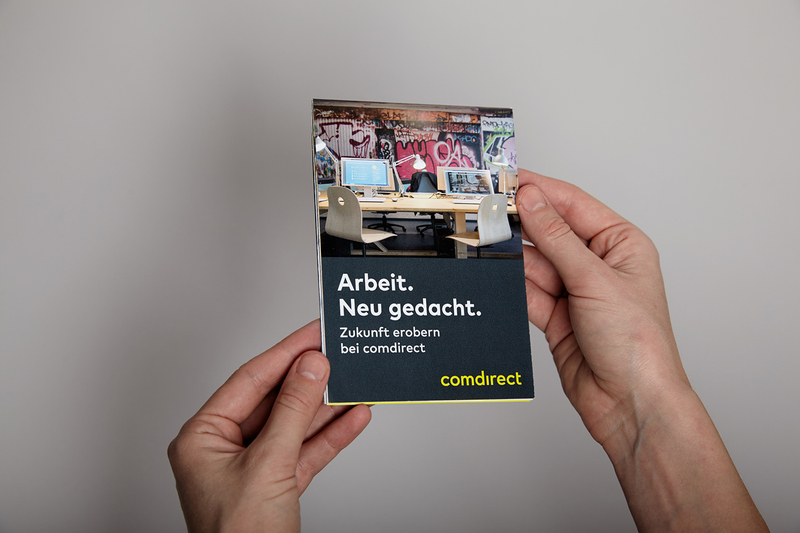 In the end, a print product that portrays the positive working environment and the diversity of comdirect staff was created. In addition to the concept and design of the flyer, K16 also supported the photo shoot with the bank employees.